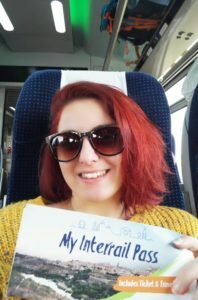 Everything starts in Chisinau, Moldova when I won another Interrail Pass thanks to the AEGEE Lottery. Another, because AEGEE had given me one just a few months before the first Interrail Pass for my SUCT trip. Surprised, lucky and happy I came back to Italy dreaming about my future adventure. I checked the map of Europe, and I started to plan which countries to discover this time. Before I die, I want to visit all countries of Europe, so the choice was a bit hard. However, in the end, the winners were Germany, the Czech Republic, Austria, Slovakia and Poland. The problem was my availability to travel a lot. I spent around Europe all my free days between exams and university courses. 12 days in total, deeply lived. My first stop was Berlin. Colourful, extravagant, free and determined. A city that knows how to tell stories, its history and the history of those who lived there. No art museums for me, but a route through historical monuments, to retrace the history that for years I had only read on school books. I felt deeply guilty reading on the walls how much cruelty the human being has been able to show. 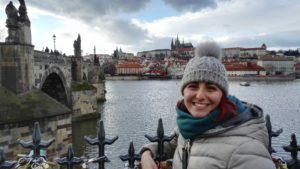 After Berlin I went to the Czech Republic, visiting the charming atmosphere of Praha. There is a mysterious air around the Czech capital; too much touristy for me, but wonderful. I saw Praha and its Charles Bridge for the first time in the music video “Numb” of Linkin Park, and since 2003 it has been my desire, finally fulfilled, to walk on that bridge. 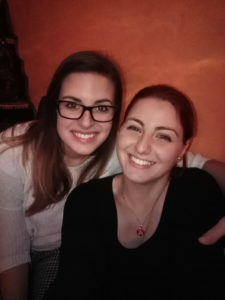 The reason why I decided to visit Brno is called Giulia: my amazing AEGEE friend, Agora mate and sweet lady. It was a pleasure to spend some hours with her and her beautiful smile, telling stories and remembering all past moments spent together. A night city tour, a beer, a dinner with her, and the following day I was directed to Austria. Vienna. 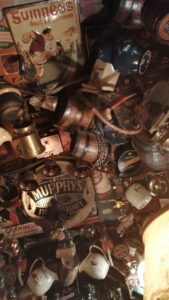 In my mind, there is a fixed image when thinking about Vienna: a very small Irish pub, full of objects everywhere. The owner told me: souvenirs gifted by customers. There was a guy singing and playing guitar in the pub, and the music component convinced me to enter in that strange place that night. Listening to music and drinking beer, I do not know why I started to write words, then thoughts, in Italian and in English. It was a great and peaceful moment for me. I did not feel lost in the world, but cosy in a place that hugs you with its atmosphere. 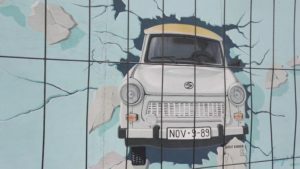 I was curious to visit Bratislava, so during my stay in Vienna one morning I took the train and in one hour another country was ready for me. I really enjoyed the old part of the city and the food. Yes, because in every city I have visited, I tried to taste all typical plates: Brezel, Spätzle, Weißwurst and Currywurst in Berlin; Czech Goulash, Dumplings and Trdlo in Praha, Wiener Schnitzel in Vienna; Gulášová polievka and Bryndzové halušky in Bratislava and beer, litres of beer everywhere. Souvenirs from Slovakia: pictures, magnets and my personal bottle of Tatratea! It had been easy to reach all cities until that moment. 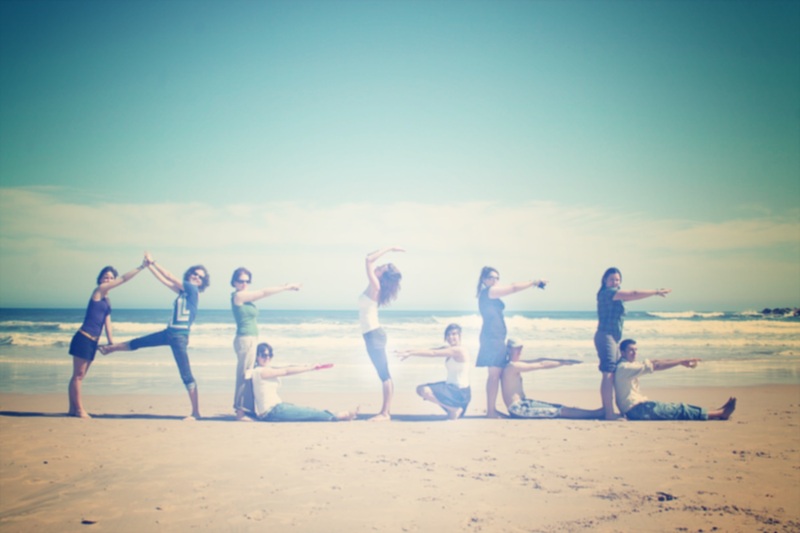 It was complicated to understand how to go to Poland from Czechia. I spent hours with a headache analysing the best solution without too many changes and “x” hours of duration. That is why I decided to say “Hello” to my Sardinian friends in Ostrava … and of course drink mirto with them. I felt really lost outside the railway station of Warszawa. I did not expect a city that big. 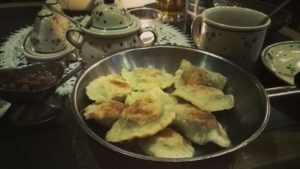 I spent one hour trying to find out the right way to reach my hostel, but just one hour later, I felt super happy eating a wonderful and delicious plate of pierogi. The day after I had just some hours before my flight to Italy to discover the Polish capital. 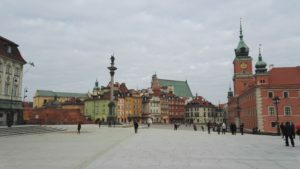 In Stare Miasto, I met a free city tour in Spanish and I joined the group, and it was very interesting. A funny guide told us history, curiosities, legends about the old place, and thanks to him I had the chance to taste another typical food: Placki ziemniaczane. The end of a journey is always sad. Saying “Goodbye” to friends, places, feelings… and I am asking myself if I left a part of me there or if I returned home with something more. 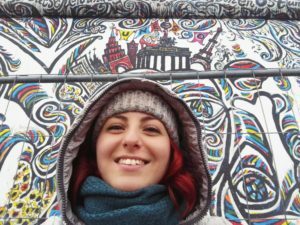 This was for me, my Interrail trip.